Benefit from the latest innovation in goggle technology without adding bulk. Focus on fast, rather than what’s on your face, with the new Nike Swift Elite Goggles. 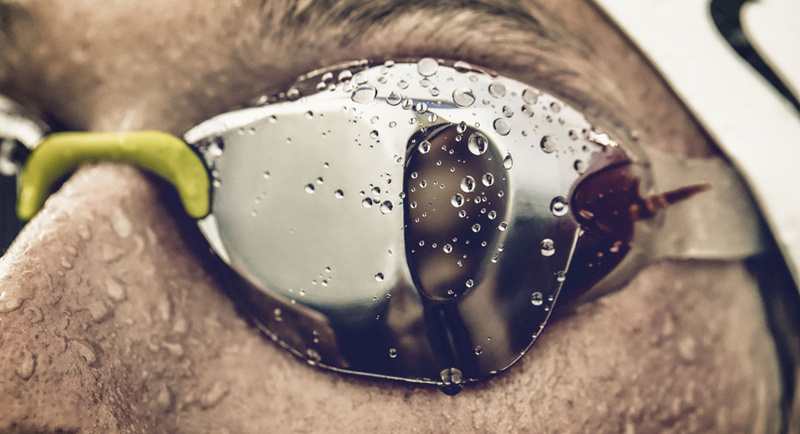 These lightweight, low-profile lenses are the closest thing a swimmer can get to seeing underwater as if intended by nature. The straps lay flat, creating a smooth transition from the goggle gasket to the edge of the cap, further eliminating excess drag and weight. Hydroflow manages and directs the flow of water, and the unique lenses extend the streamlined surface, allowing water to flow seamlessly over the face. Ultimately, goggles were made to give the swimmer vision beneath the surface, and the Nike Swift Elite Goggles have maximized this basic need. With phenomenal peripheral vision and advanced anti-fog, you will be able to keep your eye on your competition—and the wall—from the first stroke to the finish. You don’t need to focus on your goggles just what you see through them. The Nike Swift Elite Goggles are available in metallic silver, smoke, and varsity red, so you won’t only see well, you’ll be seen.